Has the Tomb of Jesus Been Discovered? In the new documentary film, The Lost Tomb of Jesus (which appeared on the Discovery Channel on March 4th, 2007), director Simcha Jacobovici and producer James Cameron claim to have identified the tomb of Jesus and his family in the Jerusalem suburb of Talpiot. The tomb itself is not a new discovery; it was excavated in 1980 and published by Amos Kloner, an Israeli archaeologist. What is new is the sensational claim that this is the tomb of Jesus and his family. Although Jacobovici and Cameron are not scholars, their claim is supported by a handful of archaeologists and religious studies specialists. On the other hand, many archaeologists (including Kloner) and scholars of early Judaism and Christianity reject their claim. Having seen the film, I agree with Kloner and the others; the Talpiot tomb is not—indeed, cannot—be the tomb of Jesus and his family. I would first point out that by making this announcement in the popular media, Jacobovici, Cameron, and the others involved have chosen to circumvent the usual academic process. Archaeology is a scientific discipline. New discoveries and interpretations typically are presented in scientific venues such as professional meetings or are published in peer-reviewed journals, where they can be considered and discussed by other specialists. By first making the announcement in the popular media, those involved have precluded legitimate and vital academic discourse. It is impossible to explain the many flaws of their claim in a one-minute segment on TV or the radio, or in two or three sentences in the newspaper, as I have been asked to do repeatedly since the announcement was made. The history and archaeology of Jerusalem in the first century are far too complex to be boiled down to a short sound bite, yet that is precisely what has happened here. This is a travesty to professional archaeologists and scholars of early Judaism and Christianity, and it is a disservice to the public. Now let us consider the claim itself. We have no contemporary accounts of the death and burial of Jesus. Our closest sources (in time) are the canonical Gospels, specifically the Synoptic Gospels (Mark, Matthew, Luke), which are thought to have been composed about 30-50 years after Jesus’ death. Although the canonical Gospels may not be accurate in every detail, most scholars agree they contain some historical information. The claim that the Talpiot tomb is the tomb of Jesus and his family contradicts the canonical Gospel accounts and means that we must reject our earliest traditions about Jesus. Those who identify the Talpiot tomb as the tomb of Jesus support their claim by citing later, non-canonical traditions such as the Gospel of Philip. How did the Jews of Jerusalem bury their dead in the time of Jesus? The Gospel accounts describe Jesus as having been laid to rest in a rock-cut tomb. Rock-cut tombs consisted of one or more burial chambers hewn into the bedrock slopes surrounding the city of Jerusalem. Burial chambers were lined by single rows of burial niches (called loculi), with each niche cut into the walls about the length of a person’s body. Each rock-cut tomb belonged to a family and was used by the members of a family over the course of several generations. When a member of the family died, his/her body was wrapped in a shroud and placed in a loculus. The opening to the loculus was sealed with a stone slab, and the entrance to the rock-cut tomb was also sealed with a stone. Eventually, over the course of generations, the loculi became filled with burials. When it became necessary to make space for new burials, the earlier remains (consisting of bones and burial gifts) were cleared out of the loculi and placed in small boxes (ossuaries). Sometimes the relatives scribbled the name(s) of the deceased on the outside of the ossuary when they placed the remains in the box. 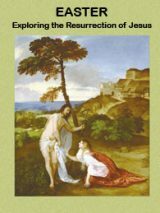 The Gospel accounts provide an accurate description of Joseph of Arimathea burying Jesus’ body in a loculus in his family’s rock-cut tomb. Because rock-cut tombs had to be cut by hand out of bedrock, only the upper classes (wealthy Jews like Joseph) could afford them. The poorer classes of Jewish society—the majority of the population—buried their dead in simple, individual trench graves dug into the ground, similar to the way we bury our dead today. This involved digging a rectangular trench in the ground, placing the deceased (wrapped in a shroud) at the bottom, and filling the trench back in with earth. Usually a crude headstone was set up at one end of the grave. Ossuaries are associated only with rock-cut tombs; bodies interred in trench graves were not dug back up for deposition in an ossuary. Now let us reconsider the Gospel accounts. Jesus was crucified on Friday. This is consistent with what we know about Jesus’ background, as the Romans generally reserved crucifixion for the poorer classes, who they regarded as common criminals. Why did Joseph of Arimathea request Pilate’s permission to bury Jesus? Jewish law requires burial within 24 hours of death. However, burials are prohibited on the Sabbath (sundown Friday to sundown Saturday). According to the Gospel accounts, Jesus died on the eve of the Sabbath (late Friday afternoon), just before sundown. For Jesus to be buried in accordance with Jewish law, he had to be buried before the Sabbath started; otherwise, it would have been necessary to wait until Saturday night, thereby exceeding the 24-hour time limit. Joseph of Arimathea, a wealthy follower of Jesus, was concerned to ensure that Jesus was buried in accordance with Jewish law. Jesus came from a poor family that presumably could not afford a rock-cut tomb. Under ordinary circumstances he would have been buried in a trench grave. However, there was no time to dig a trench grave before the beginning of the Sabbath. Therefore, as the Gospels tell us, Joseph hastened to go to Pilate and requested permission to take Jesus’ body. He laid it in a loculus in his own rock-cut tomb, something that was exceptional (due to the circumstances), as rock-cut tombs were family tombs. When the women entered the tomb of Joseph of Arimathea on Sunday morning, the loculus where Jesus’ body had been laid was empty. The theological explanation for this is that Jesus was resurrected from the dead. However, once Jesus had been buried in accordance with Jewish law, there was no prohibition against removing the body from the tomb after the end of the Sabbath and reburying it. It is therefore possible that followers or family members removed Jesus’ body from Joseph’s tomb after the Sabbath ended and buried it in a trench grave, as it would have been unusual (to say the least) to leave a non-relative in a family tomb. Whatever explanation one prefers, the fact that Jesus’ body did not remain in Joseph’s tomb means that his bones could not have been collected in an ossuary, at least not if we follow the Gospel accounts. Although the Gospel accounts of the death and burial of Jesus might not be completely accurate from an historical point of view, they are consistent with our literary and archaeological information about how the Jews of Jerusalem buried their dead in the time of Jesus. The Gospels also show familiarity with Jewish law, conveying Joseph’s concern to bury Jesus before the Sabbath. They make it clear that Joseph was not trying to “honor” Jesus by burying him in a rock-cut tomb (a modern, anachronistic concept, since there was no shame associated with burial in trench graves, which was the accepted practice). Instead Joseph wanted to ensure that Jesus was buried within 24 hours, in accordance with Jewish law. Jesus’ family, being poor, presumably could not afford a rock-cut tomb, as even the more “modest” ones were costly. And had Jesus’ family owned a rock-cut tomb, it would have been located in their hometown of Nazareth, not in Jerusalem. For example, when Simon, the last of the Maccabean brothers and one of the Hasmonean rulers, built a large tomb or mausoleum for his family, he constructed it in their hometown of Modiin. In fact, the Gospel accounts clearly indicate that Jesus’ family did not own a rock-cut tomb in Jerusalem—for if they had, there would have been no need for Joseph of Arimathea to take Jesus’ body and place it in his own family’s rock-cut tomb! If Jesus’ family did not own a rock-cut tomb, it means they also had no ossuaries. A number of scholars, including Kloner, have pointed out that the names on the ossuaries in the Talpiot tomb are extremely common among the Jewish population of Jerusalem in the first century. But beyond this there is a bigger problem. Being a Jew in the time of Jesus was not, strictly speaking, a religion, as it is today. Instead, Jews in the time of Jesus were Judeans—that is, people from the district of Judea, the area around Jerusalem. Judeans worshiped the national god of Judea (the God of Israel) and lived according to his laws. Other ancient peoples had their own national deities. During the two centuries before Christ, the Hasmonean kings (a Jewish dynasty descended from the Maccabees) had established an independent Jewish kingdom in Judea (this kingdom was eventually taken over by the Romans). The Hasmonean kings conducted a campaign of expansion, conquering neighboring peoples whom they forcibly converted to Judaism. Under the Hasmoneans, Galilee (to the north of Judea) and Idumaea (to the south) were Judaized, which means their non-Jewish populations began to worship the God of Israel and live according to his laws. L. Y. Rahmani, an Israeli archaeologist who compiled a catalogue of all of the ossuaries in the collections of the state of Israel, observed that “In Jerusalem’s tombs, the deceased’s place of origin was noted when someone from outside Jerusalem was interred in a local tomb.” On ossuaries in rock-cut tombs that belonged to Judean families, it was customary to indicate the ancestry or lineage of the deceased by naming the father, as, for example, Judah son of John (Yohanan); Honya son of Alexa; and Martha daughter of Hananya. But in rock-cut tombs owned by non-Judean families (or which contained the remains of relatives from outside Judea), it was customary to indicate the deceased’s place of origin, as, for example, Simon of Ptolemais; Papias the Bethshanite (of Beth Shean); and Gaios son of Artemon from Berenike. 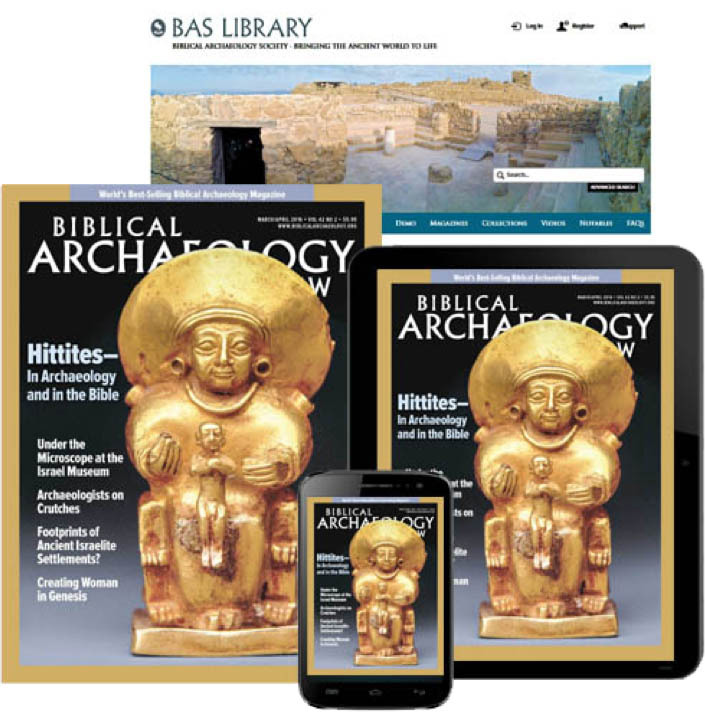 Our historical and literary sources (such as the Gospels, Flavius Josephus, etc.) often make the same distinctions between Judeans and non-Judeans (for example, Galileans, Idumaeans, Saul of Tarsus, Simon of Cyrene, and so on). If the Talpiot tomb is indeed the tomb of Jesus and his family, we would expect at least some of the ossuary inscriptions to reflect their Galilean origins, by reading, for example, Jesus [son of Joseph] of Nazareth (or Jesus the Nazarene), Mary of Magdala, and so on. However, the inscriptions provide no indication that this is the tomb of a Galilean family and instead point to a Judean family. The identification of the Talpiot tomb as the tomb of Jesus and his family is based on a string of problematic and unsubstantiated claims, including adding an otherwise unattested Matthew (Matya) to the family of Jesus; identifying an otherwise unknown son of Jesus named Judah; and identifying the Mariamne named on one of the ossuaries in the tomb as Mary Magdalene by interpreting the word Mara (which follows the name Mariamne) as the Aramaic term for “master” (arguing that Mariamne was a teacher and leader). To account for the fact that Mary/Mariamne’s name is written in Greek, the filmmakers transform the small Jewish town of Migdal/Magdala/Tarichaea on the Sea of Galilee (Mary’s hometown) into “an important trading center” where Greek was spoken. Instead, as in other Jewish towns of this period, generally only the upper classes knew Greek, whereas poorer Jews spoke Aramaic as their everyday language. Taken individually, each of these points weakens the case for the identification of the Talpiot tomb as the tomb of Jesus and his family. Collectively these points are devastating, since the statistical analyses presented in the film are based on certain assumptions made about these names. Jodi Magness is the Kenan Distinguished Professor for Teaching Excellence in Early Judaism in the Department of Religious Studies at the University of North Carolina at Chapel Hill. She received a Ph.D. in Classical Archaeology from the University of Pennsylvania and a B.A. 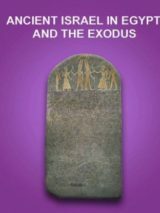 in Archaeology and History from the Hebrew University of Jerusalem. She has participated in more than 20 excavations in Israel and Greece, and currently directs excavations in the Roman fort at Yotvata, Israel. Her publications include an award-winning book on The Archaeology of Qumran and the Dead Sea Scrolls (Eerdmans 2002) and an article entitled “Ossuaries and the Burials of Jesus and James,” Journal of Biblical Literature 124 (2005). Could the Talpiot tomb and it’s inscription be a reminder of where Jesus was layed,buried then resurrected? Jodi Magness did not read Mt 2:1-16 and Luke 2:4-15 and John 7:42 all say Jesus was born in Judea thus Jesus ben Joseph is appropriate in the Talpiot Tomb. The Talpiot Tomb contains the Jesus Family, even if Joseph of Arimathea owned the tomb.. The so-called Biblical” Scholars”, take Biblical Myth as truth and use myth to judge history. Jesus was born in Judea and he was not poor. He was educated by Rabbi Josua ben Perachyah. Jesus was born in 100 BC and was killed in 67 BC under Queen Salome. The Toldoth Jesus puts Jesus in the time of Rabbi ben Perachyah and Queen Salome.. The New Testament writers did not know Jesus, they made up a “mythical Jesus”, to put in the shoes of the historical Jesus, of the Dead Sea Scrolls and the Teacher of Righteousness. Jesus aka Teacher of Righteousness aka Jesus ben Pander..
Biblical Scholars at “university” should challenge Biblical mythology with history, not the other way around. Respectfully, I am not sure that Jesus was not from Judea…after all, he was born in Bethlehem which was also the hometown of his father Joseph. Thus, being from Judea, would he not be identified on the ossuary with his father’s name instead of with a location?